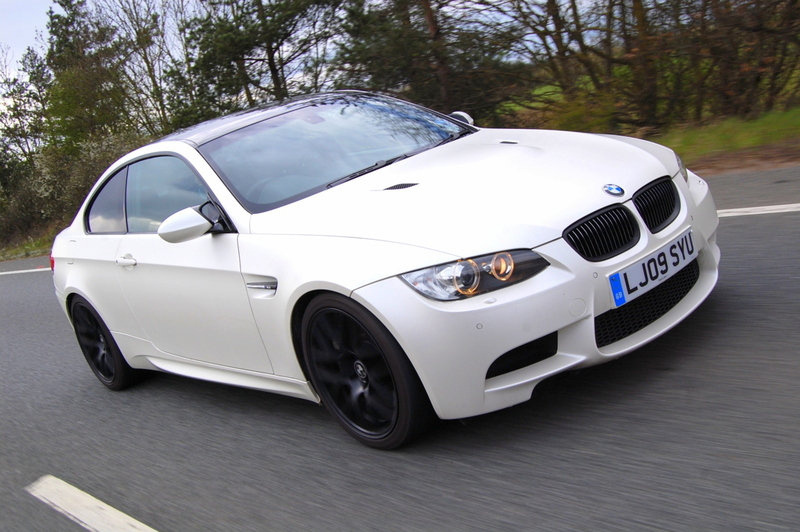 The E90 M3 is a staggeringly good car, yet also a contentious one. 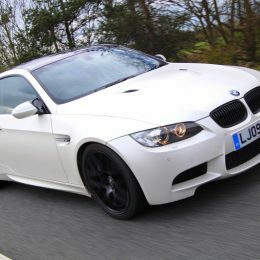 It marked the point where the fabled M-division finally opted to ditch six-cylinder power for V8, a bold move and one not without its fair share of controversy! 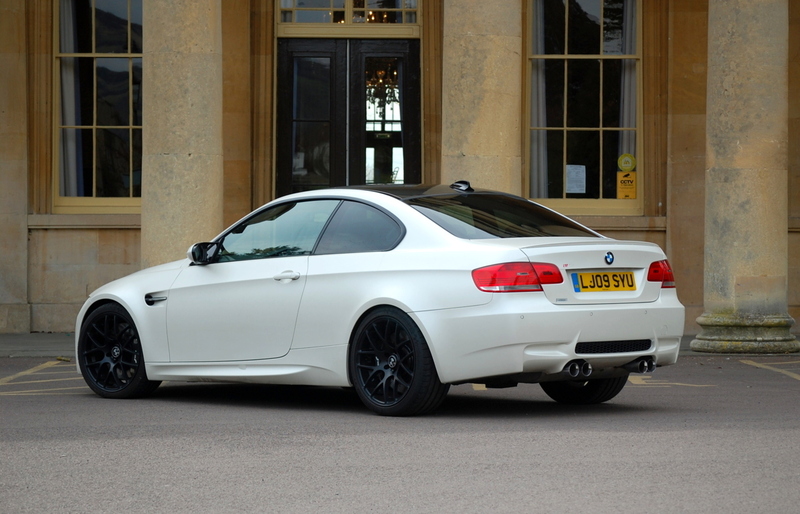 Still, it’s safe to say that the boffins at BMW made a good call, as the E90 is now one of the most complete performance cars money can buy, with legions of owners using them for daily driving, weekend blasts and track day work. 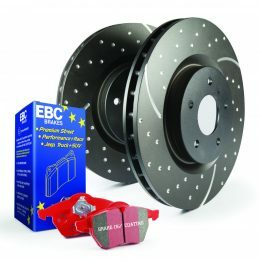 This popularity, coupled with the car’s massive role within the tuning fraternity, has encouraged EBC to include the model within its range of disc and pad kits. 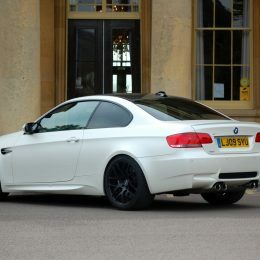 The performance nature of all BMW M3s (it very much comes with the territory) means that EBC have had to develop some equally performance orientated brake kits, and E90 owners can pick from a pair of front setups, one based around the firm’s Yellowstuff pads, one around its Redstuff pads. Both have earned deserved reputations for hauling hard charging cars to a halt with the minimum of time and fuss, and both come with EBC’s world renowned solid discs. 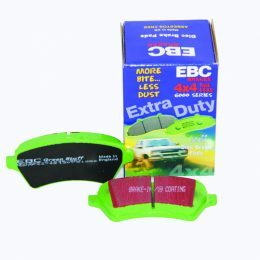 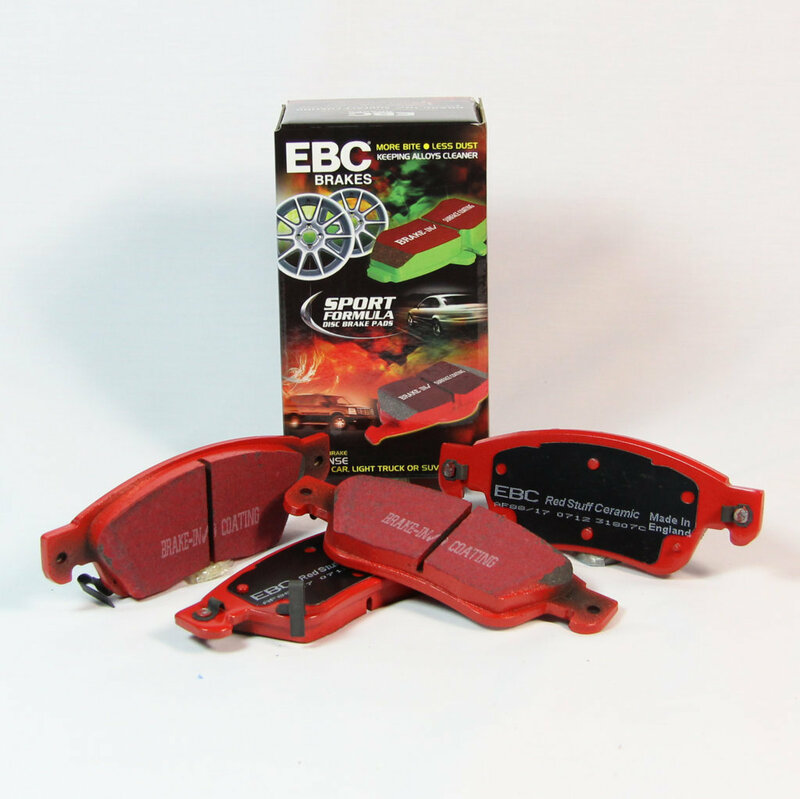 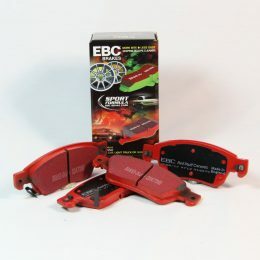 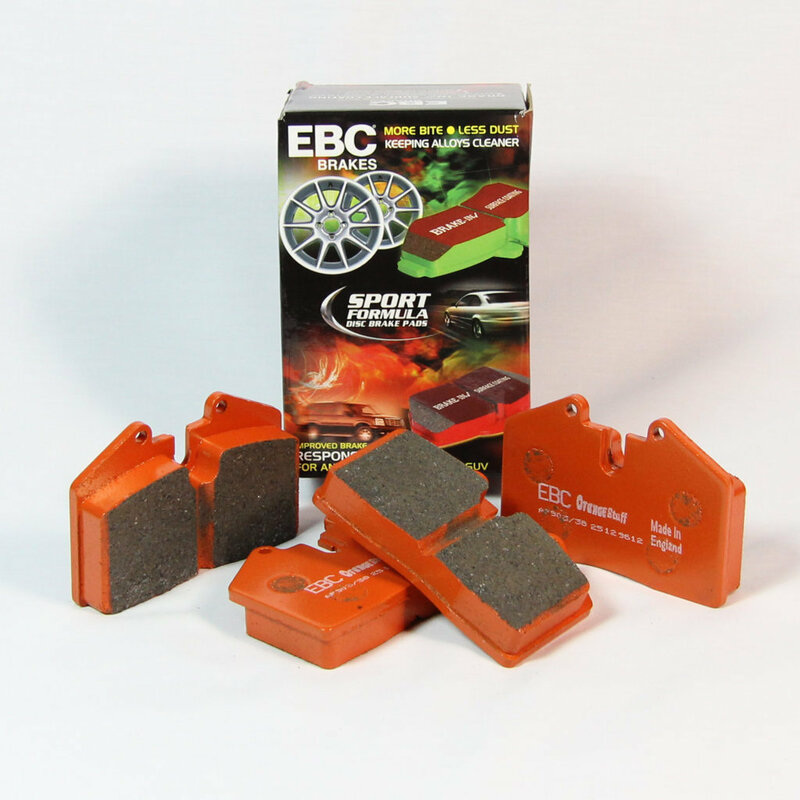 EBC Ceramic Redstuff pads are EBC’s all purpose road pads, perfectly suited to stopping big, powerful, somewhat heavy cars in all seasons and conditions. 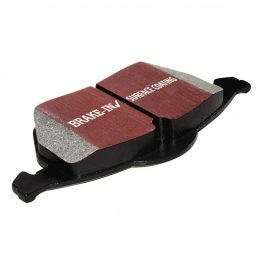 Redstuff pads aren’t merely effective, they boast a battery of traits which make them perfectly suited for fitment to those E90s that will be predominantly be used on the public roads, with their red ‘brake in’ surface coating, a feature that allows them to function perfectly right after fitment, being a good example. 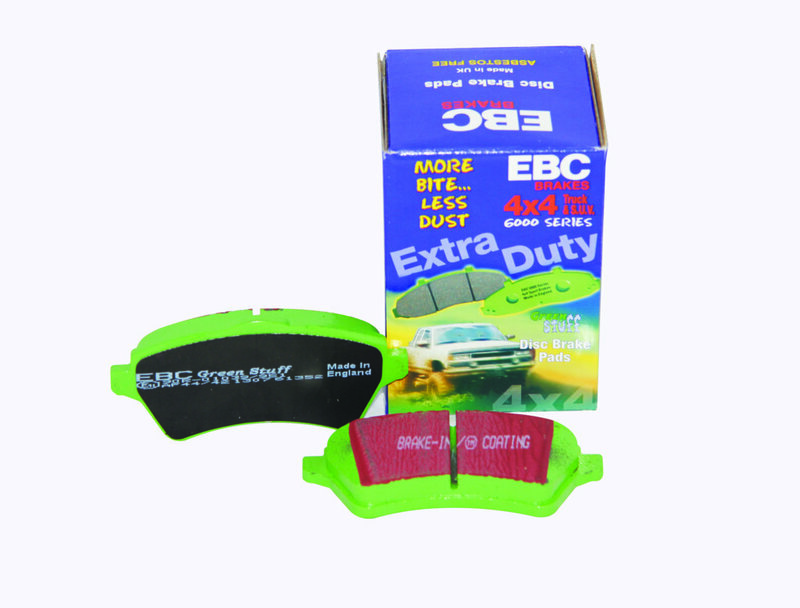 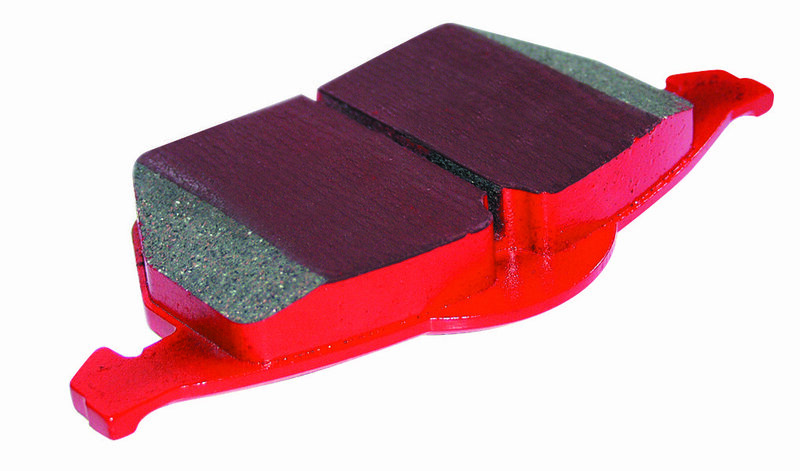 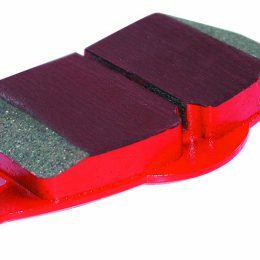 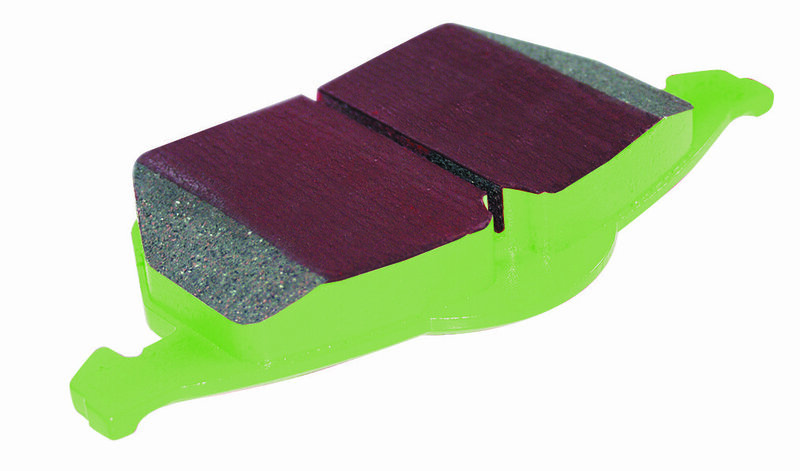 Redstuff pads are capable of repeated heavy use without brake ‘fall off’, have been proven to cause minimal disc/rotor damage, and are EBC’s lowest dust fast street pad, able to offer an improvement in stopping force of 20-25%. 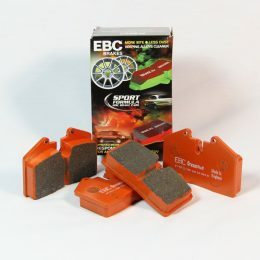 Now approaching the status of auto industry legend, EBC’s Yellowstuff pads have proved their worth on countless performance and competition cars over the years, and they’re ideal for fitment to the M-badged E90. Famed for their ability to function time after time in some of the harshest braking conditions imaginable, Yellowstuff pads are constructed from a medium hardness material that transfers excellent ‘feel’ through to the pedal, giving the driver superb braking feedback. 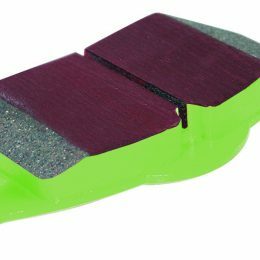 The Yellowstuff 1793 pads have been carefully formulated to function well from cold, yet perform at their absolute peak when hot – they really do just keep getting better. 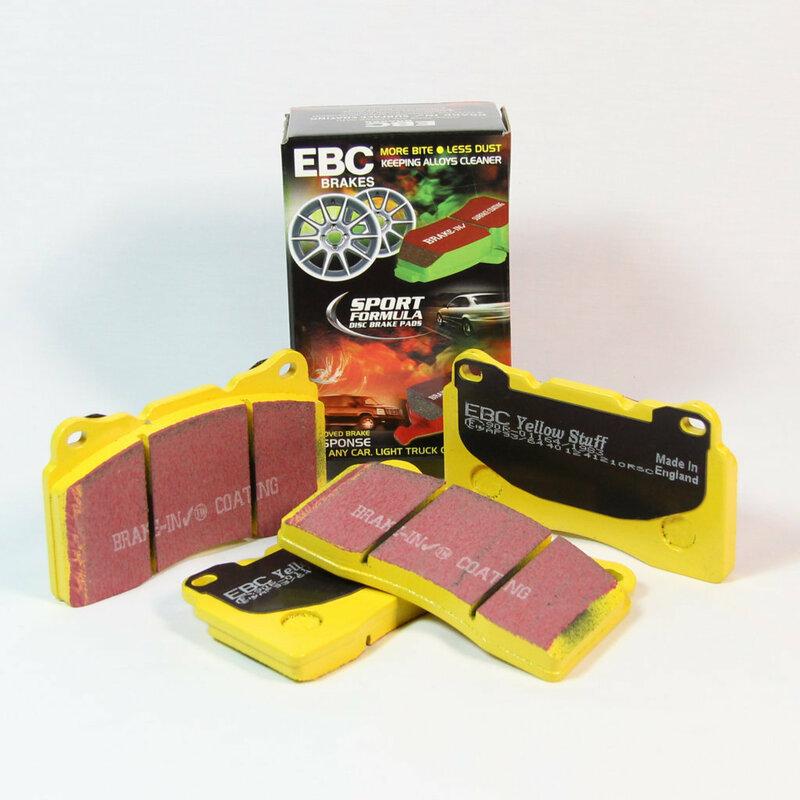 EBC’s Yellowstuff pads have proved their worth fitted to many of the police’s high speed response vehicles, as well as all cars in Silverstone’s Race Track Driver Experience. While both Redstuff and Yellowstuff are deeply impressive, it’s also worth taking the time to discuss the EBC discs that they’ll be biting onto. 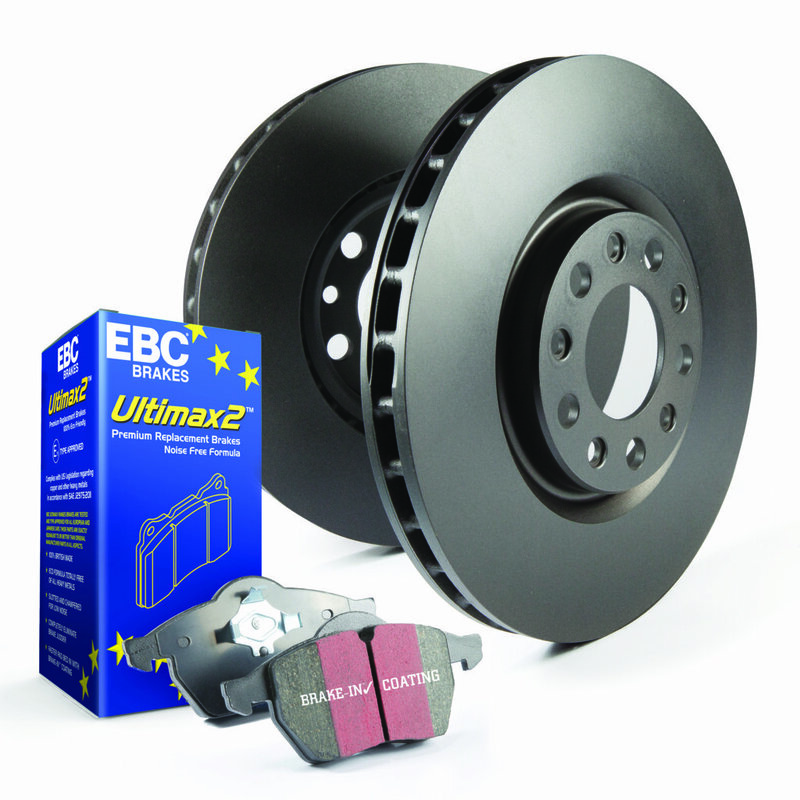 All EBC discs are manufactured to the highest standards and will meet or exceed OEM offerings, with extended service lives that ensure they are ideal for all types of performance driving. 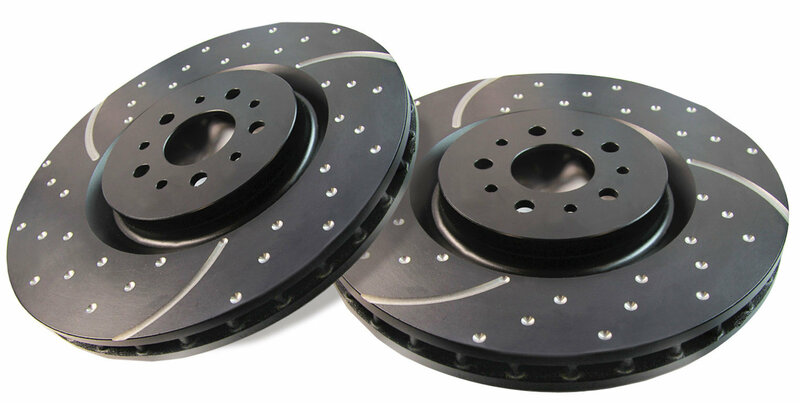 The discs are also fully balanced and runout tested to ensure smooth, safe braking in all weathers, while EBC’s patented brake-in coating results in faster pad installation. 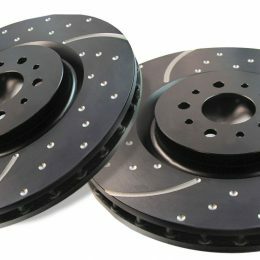 BMW E90 M3s fitted with EBC’s Yellowstuff or Redstuff brake disc and pad kits will be perfectly useable in both track and street environments, making them ideal for those owners seeking a broad spectrum of capabilities from their brake setups.